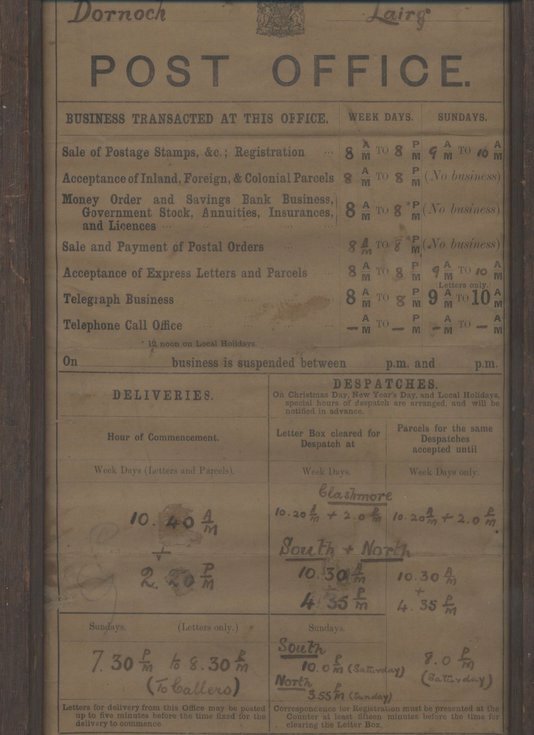 Framed Post Office notice giving times of postal delivery and despatch etc. Also behind this notice, is set of previous notices giving similar information but in different format. Frame is brown stained wood.